We are excited to partner with Teays Valley Christian School for our joint playground project. 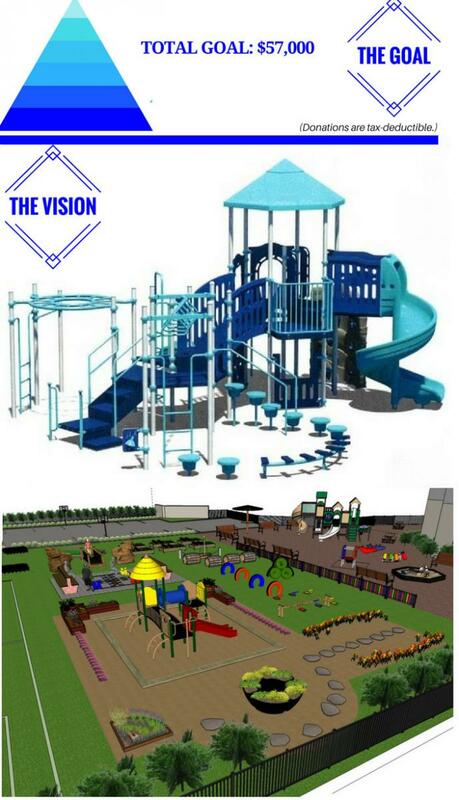 Together, we are raising funds to build an expanded playground that includes new, safer, ADA compliant equipment. The new playground will provide a larger area with greater variety for our children, accommodating up to 80 children at a time. Our goal is to provide our children with a well-rounded experience that includes fun and exercise. This new playground will be a great addition for our children today as well as years to come. We need your help to reach our goal! To donate to this project, contact us for information. Stay tuned for updates on our progress.